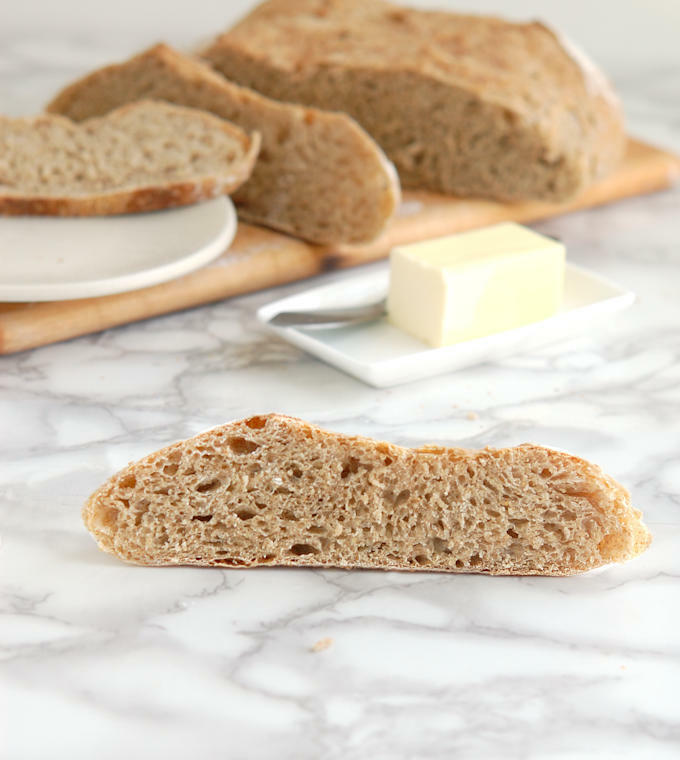 Whole Grain Low Knead Bread is a delicious, nutritious and hearty bread that requires just a few minutes of actual hands-on time to make. If you’ve been reluctant to try baking your own bread, this foolproof recipe is a great place to start. 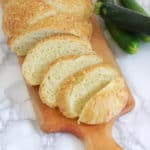 About 10 years ago, a recipe called “No Knead” bread was published in the New York Times and today variations of it are found all over the internet. No knead bread is precisely as easy as it sounds. The recipe takes more than 12 hours from start to finish, but almost all the time is hands off. 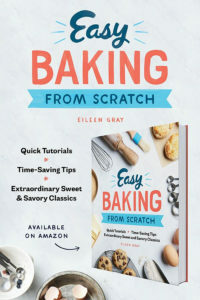 Although the idea of a no knead bread was popularized by the NYT article, I suspect that this way of making bread goes all the way back to the invention (or discovery?) of bread because this method depends on a natural reaction in the bread dough. To understand how we can make bread without any (or very little) kneading, we have to understand why we knead bread in the first place. Let’s geek-out with a little baking science, shall we? 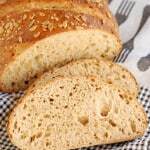 As I explain in the Science of Flour post, protein is a major component of wheat flour. When a batter or dough is mixed, two proteins in the dry flour, glutenin and gliadin, absorb water and form gluten. Gluten is a network of coiled and folded protein strands which form the structure of baked goods. As a dough is kneaded, the coiled and folded strands of gluten begin to align and tighten. This is why a bread dough that starts out loose and “shaggy” becomes smooth and silky as it is kneaded. When you make bread using the “no knead” method, the bread does the work of developing the gluten without you having to flex a single muscle. This happens via a process called autolyse. 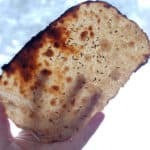 Basically, autolyse is an enzymatic reaction in bread dough which breaks the gluten strands in the dough into smaller pieces. Those smaller strands can line up and form a network more easily than long strands. This action allows the gluten to develop with no or very little kneading. It takes some time and a fairly high proportion of water for this process to happen. 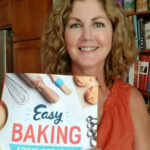 Low knead and no knead bread recipes take advantage of autolyse by making a wet dough and giving the dough time to work it’s magic creating a strong gluten network. 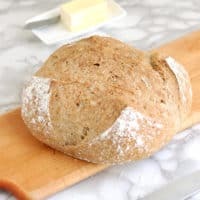 During my research into “no knead” breads I came across a bread from Cooks Illustrated which they call “almost no knead” bread. Through their experiments they found that a bread could be made with a little less water if you knead it very briefly before shaping. I took this idea and ran with it. 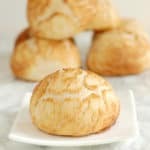 In my research I noticed that a lot of folks commented that they have a hard time handling a super wet “no knead” dough. 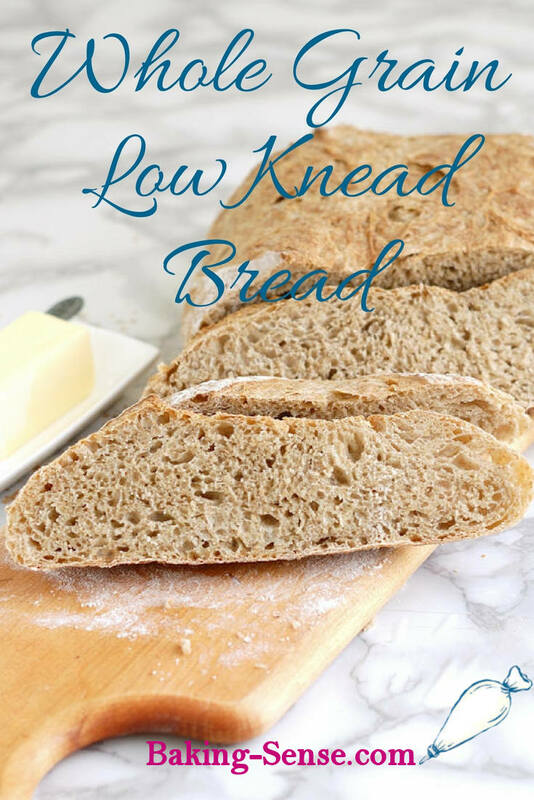 The “low-knead” step takes less than a minute, but it allows us to use less water in the dough, making it much easier to handle than a “no knead” bread dough. I wanted to do something a little different with this recipe since there are so many versions out there. 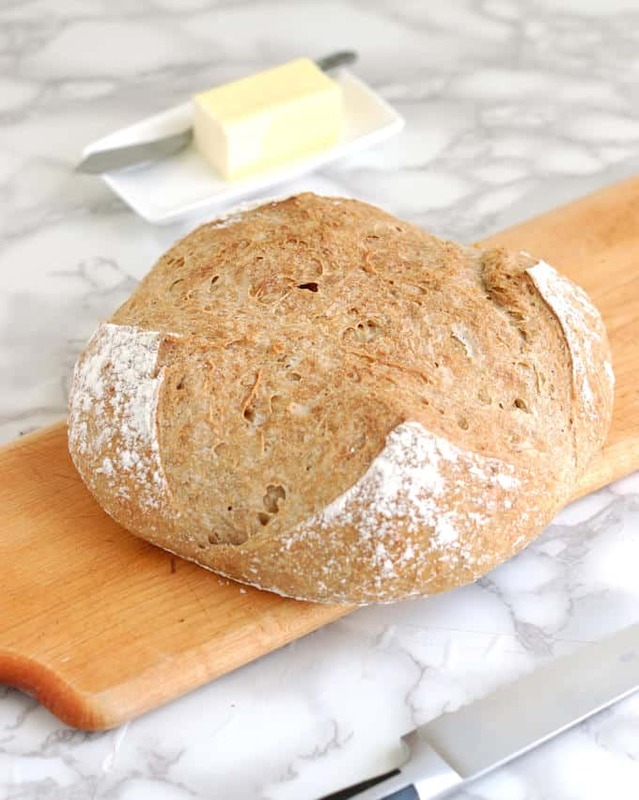 I added a little whole wheat flour because I love a good, chewy whole grain loaf and I added wheat germ for extra texture, flavor and nutrition. When you calculate the percentages it seems that there is quite a bit of water in this dough. 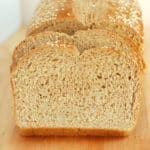 The recipe has 15 oz of flour (all purpose, whole wheat and wheat germ) and 14 oz of water. That’s a whopping 93% hydration, meaning for every ounce of flour there is .93 oz of water. Normally that would make a super wet dough, almost a batter. During recipe testing I found that I had to use extra water in the dough when I added wheat germ to the recipe. The wheat germ was absorbing a lot of the water and the dough was too dry. So, while the hydration percentage might seem high, this is a very easy to handle dough. 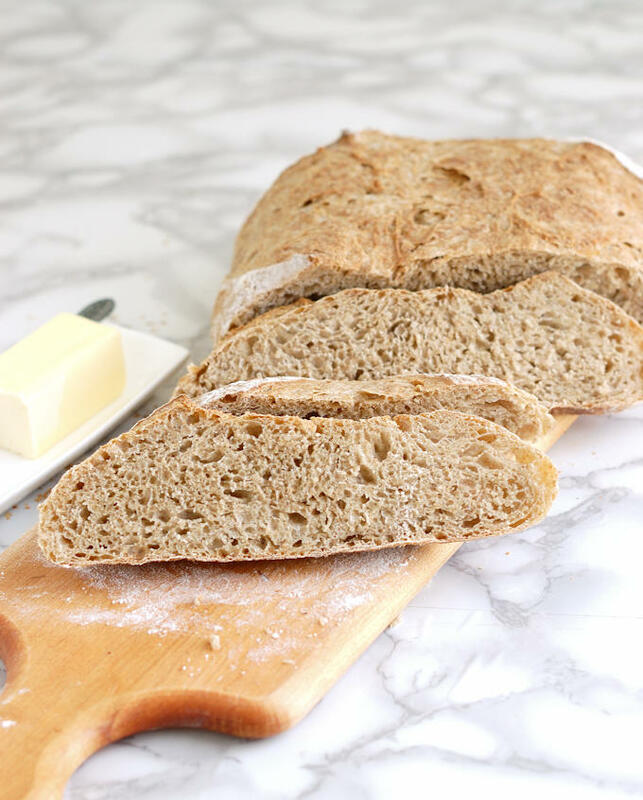 Whole Grain Low Knead Bread is a delicious, nutritious and hearty bread that requires just a few minutes of actual hands-on time to make. 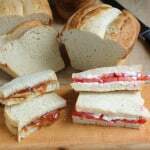 If you've been reluctant to try baking your own bread this foolproof recipes is a great place to start. Whisk together the all purpose flour, whole wheat flour, wheat germ, salt and yeast in a large mixing bowl. Add the water all at once and mix with a spatula until most of the flour is incorporated. The dough will look shaggy, not smooth. Cover the bowl with plastic wrap and leave it at room temperature for at least 10 hours and up to 18 hours. Lightly sprinkle a sheet of parchment paper with wheat germ. Turn the dough out onto a surface sprinkled lightly with wheat germ and knead very briefly, just 12-15 times. Pull the sides of the dough towards the center to form a round. Set the dough, seam side down, onto the parchment paper. Use the parchment paper to lift the dough and set it into a heavy Dutch oven. Cover the pot with plastic wrap and the lid of the pot. Leave the dough at room temperature to rise until doubled in volume, 1-1 ½ hours. Remove the plastic covering. Sprinkle the top of the loaf lightly with flour. 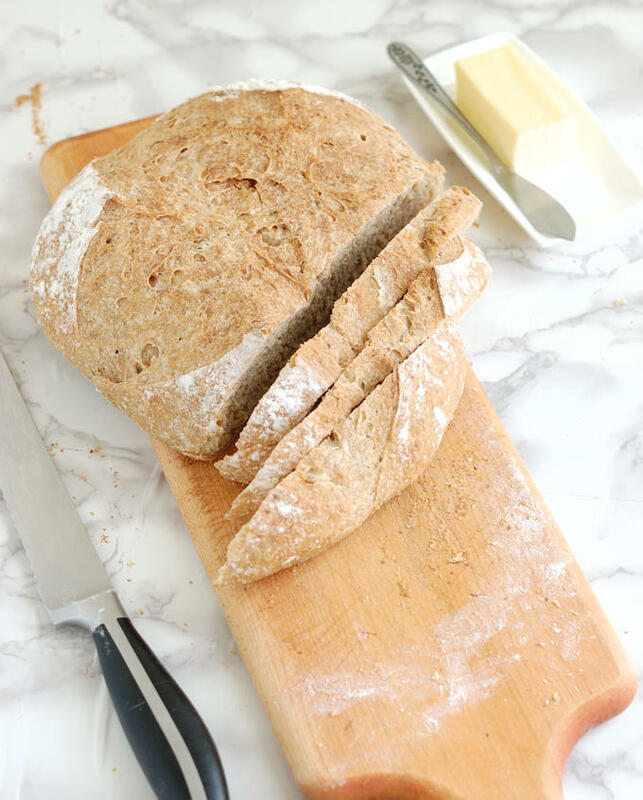 Use a sharp knife, scissors, or a razor (lame) to slash a ½” deep X across the top of the loaf. Cover the pot and place it in the cold oven. Turn the oven on to 425°F and bake the bread for 30 minutes. Remove the lid from the pot and bake for another 25-30 minutes until the crust is deeply-browned. Any heavy pot with a lid will do. Even a deep casserole dish would probably work. You might night get quite the same crust, but it would work.